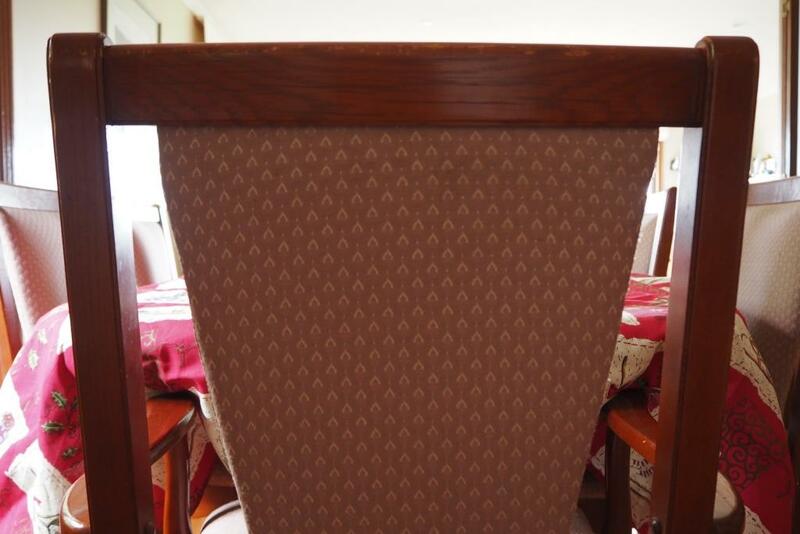 This entry was posted in Life and tagged Christmas, Empty Chair, Family, Grief, Loss. Bookmark the permalink. I think family occasions highlight so strongly those who should be there but aren’t. It can be tough. Thinking of you, Dan. This has a poignancy beyond words. This is a distressful season for many. You know I know what you’re saying. Self indulgence is my middle name – I’m a shameless discloser – but sometimes it’s good to simply say it as it is. Love to you. Sometimes the words just swirl around in my head on an endless cycle until I have no choice but to put them out there to gain some measure of peace. Thanks, Elly. If there was a “love and hug” button, I would have clicked on that. My dad has been gone over four years, but I truly miss him on holidays. And it was weird this year not taking mom out for Christmas dinner due to her deteriorating dementia. I’m sorry the grief has been so hard on you, Heather. Time may soften it, and I pray it does with fond and joyous memories that make you smile rather than feel sad. I’m becoming convinced that grief does not follow a linear path. I have struggled more with my sister’s death this year than I have since the early days. Often we do share happy memories but I think this Christmas was difficult because so many who know those memories and would share in the stories were absent this year. Sounds like your Christmas was also extra challenging this year. Sending much love to you, M-J. It is hard. Grief is lessened when shared. We have two empty chairs, one for our eldest daughter and the other, our dear son. The nights are the hardest begging for sleep. We enjoy thinking about the good times we had. Oh, Gerard. Those are difficult empty chairs. It is in the quiet moments that the grief can be felt so keenly as the memories flood into our thoughts. Peace to you. I bought my elderly father a special chair for Father’s Day. He was killed 5 months later. I miss him every day. You have to move through the grief. I’m so sorry. That must have been so difficult. I’ve moved through the grief and back around and through again. There’s no straight line to grief. Reblogged this on DAMIAN GARCIA: PHD DRUG SMUGGLER. Like Joanne, I don’t have the words. Please just accept my presence here as solidarity and a virtual outstretched hand. Thanks for being here, Su. Sending big hugs to you my friend. I think Christmas is an exclamation mark on emotions. I’m so sorry it was such a tough time. “Christmas is an exclamation mark on emotions” – yes, that is so accurate and so well put, Sue. Thank you. Yes a few empty chairs weighing heavily this year for us too. Still, lovely to be able to acknowledge them as present, even in their absence. Yes. Forgetting them would be so much worse. I am sending more love and hugs from across the Atlantic. In a sad year losses seem to grow not diminish and it is harder to remember that we are the lucky ones because we have loved and lost rather than never having loved at all. It is harder which is why it is helpful to share and be reminded. Thanks, Hilary. Heather, like so many others have expressed here, know that we are wrapping you in virtual hugs. Christmas is a time when we seem to be particularly in tune with our emotions, especially when it comes to family & our loved ones. I hope that in some small way, writing helps my friend. It does always help, thanks Lynn. It stops the words running around my head. I hope you’ve had a lovely Christmas. Glad to have stumbled upon this post! I am a part of that club of a billion souls. Fighting a battle after the loss of a loved one. It goes beyond the borders of Christmas. It can be someone who is alone or as in our situation; dealing with an empty chair or trying to recreate a holiday dish that the person always made. It is never easy but we can always treasure the good times. And I will dig around through your site…I enjoy reading good stories about the battles of parenting! Thank you for reading and for your thoughtful comment. Yes, there are many of us with empty chairs at our tables. I have yet to experience this and I dread that time of life. Best wishes to you. At some point it comes to all of us but we make the most of the time we have and then we remember the best times. Thank you. Ah, Heather, it is indeed the time of year when these things hit us the most. My dad died on 21st December some 15 years ago and every year since I remember with clarity that awful Christmas which has since been skewed forever. But empty chairs get filled and new traditions and new memories are made. There is nothing wrong in grieving and there are no limitations on time. These things come and go much like the ebb and flow of the sea. All we can do is tell the people we love that we do whilst they are around us. And not let them be forgotten when they’re not. Thanks, Jude. Losing your father that close to Christmas must have been so hard. Christmases are never quite the same afterwards, are they? The grief is definitely on a flow at present so Christmas Day was harder than usual. Hoping for an easier one in 2017. What a sweet post. I am a friend of Carol, the Eternal Traveller. I’m sorry for the loss of your father. Thank you, Marsha. For visiting and for your kind thoughts. I nearly blogged about empty chairs myself, our empty chair, the chair where my son would have sat. A lit candle now takes its place. My thoughts were with everyone who had empty chairs this year for whatever reason. I’m so sorry for your loss and the empty chair at your table. A lit candle is a lovely way to mark his presence in your memories. Thank you. Its a special candle we were given when he was ill. It gets lit on all special occasions. You do what you can to get through don’t you. I’m less convinced about the time thing after this year, Barbara. I’ve really struggled with the loss of my sister in recent months and it’s been 23 years since she died. I think, with time, you learn to live with it but some life changes along the way can mean having to adjust all over again. Writing is definitely an outlet for the grieving process. There is a poet in you! I started my blogging experience years ago in response to grief. I have found in beneficial in more ways I can enunciate! Christmas and Easter festivities are always difficult. But noone can take away your wonderful memories. Yes, I find it’s the strongest emotions that tend to get me writing. And I think a number of people come to it through grief. They are the words you need to get out but which people find uncomfortable to hear in person so writing is a way to release. A dear friend has just lost her father to cancer. It’s hard for the memories not to resurface at such times. Oh it would re-surface. Let the emotions come and fade away naturally. I think if you fight it, it will fester and come out later in a more detrimental way. Hugs from me.